"Hey all! 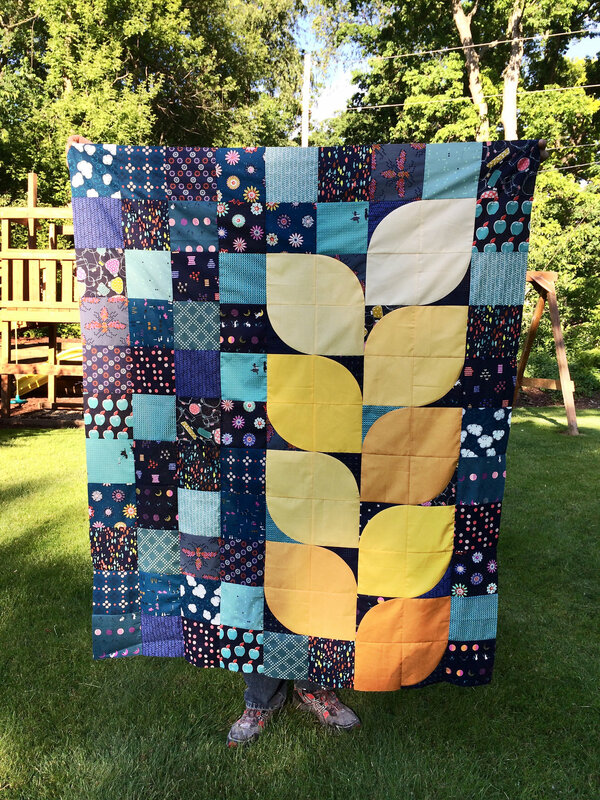 I just wanted to let you know that the pattern for my quilt Adorela (formerly known as The Orla) is now available for download on the Robert Kaufman site. 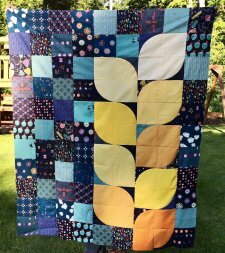 "This was designed using Kona solids and all of the amounts and color names are listed in the pattern. 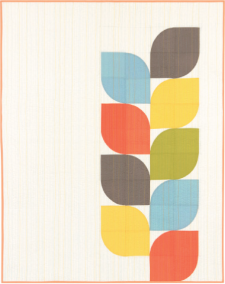 It also is compatible with the Accuquilt 7" Drunkard's Path Die for easy cutting (though templates are also provided!). 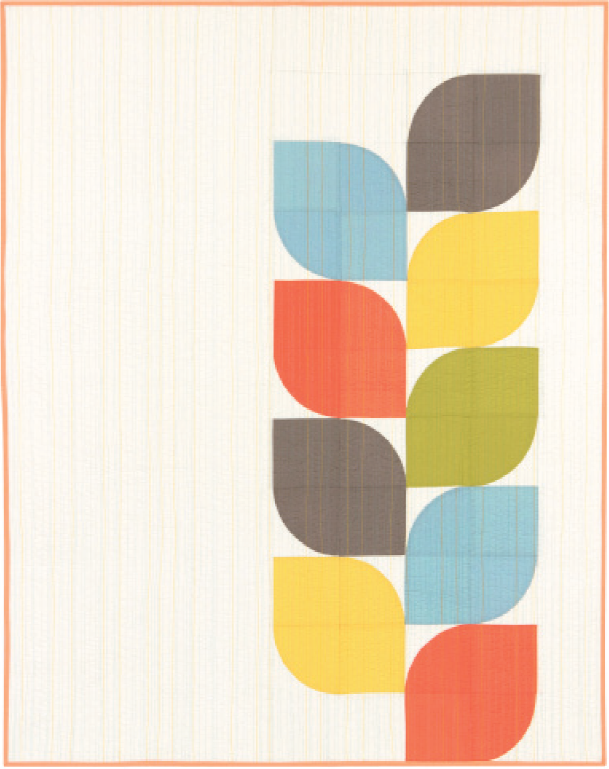 The finished quilt measures 50" x 60" and is my homage to the amazing designs of the epic Orla Kiely."